Indian movies are usually bad copies of good films, with a little slapstick over the top raunchy humor and some good old singing around the trees bits thrown in and off course the melodrama. Rock star though is a dish with a very different taste. 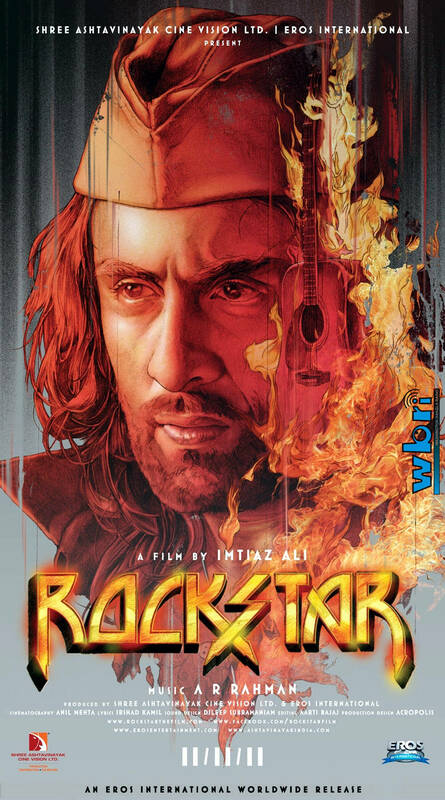 Ranbir Kapoor plays the struggling wanna be rock icon to perfection, specially with the vacant hurt look when is needed. The musical influences at khwaja sahabs dargah and the qawali bit just goes to strengthen the spiritual development of this character. The heroine of this flick Nargis fakhri is not upto par as far as acting skills are concerned (few people would be in this instance with ranbir) but as far as comic delivery and the looks are concerned she bowls over every siren in the book today. The movie takes you through different phases of a icons life and the terrible and bitter truths behind the faces we all idolize and the struggles they go through behind the scenes. So if you want to watch something intense, dark and fun at the same time go for Rockstar you will not be disappointed!